A well-known Nashville probate attorney was sentenced Friday to 18 years in prison after admitting to stealing $1.3 million from three clients, including the late father of a severely disabled woman. Dressed in an orange prison jumpsuit, John E. Clemmons, 66, entered his guilty plea to three counts of theft, perjury and TennCare fraud in a barely audible voice. Under the plea agreement he could be eligible for parole after serving about five years and four months. Absent the plea deal, Clemmons could have faced jail terms of up to 30 years on the theft counts alone. Clemmons, who already had pleaded guilty to stealing more than $60,000 from a fourth ward in Rutherford County, could face more charges as an investigation into dozens of other cases continues. 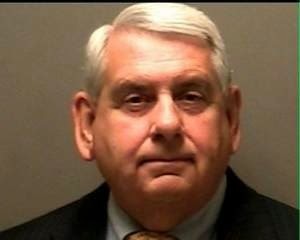 His license to practice law was suspended indefinitely last spring when details of the Rutherford case began to emerge. In all four cases, Clemmons had been appointed as a conservator of wards whom the courts had concluded were unable to look after their own affairs. Under the agreement the victims, whose losses range from $172,506 to $771,009, will first collect restitution from bonds posted by Clemmons in the three cases and then from a state fund established to reimburse victims of attorney misconduct. The amount due after that, Milam said, will be Clemmons responsibility. Milam said Clemmons filed false reports with the Davidson Probate Court and instead of the expenses he reported spending, wrote checks to himself. He also filed a false application for TennCare coverage for one of his clients. Flanked by his attorneys, Paul Housch and Bob Lynch, Clemmons told Dozier the plea deal had been explained to him and that he had agreed to it. Clemmons had turned himself in last week in anticipation of the plea deal. He will remain in custody and be turned over to the Tennessee Department of Corrections. Action on the case came as some of the victims registered last minute pleas to Dozier urging him to reject the plea deal and order the Clemmons to make full restitution. Ronnie Dismang, whose severely disabled cousin was one of the victims, wrote that she has been trying for months to learn how Clemmons was able to steal so much without detection by the courts or attorneys involved in the case. 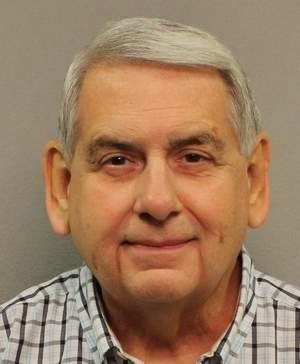 A longtime Nashville attorney has been jailed on charges of aggravated perjury, theft and TennCare fraud stemming from his care of three people, two of them elderly and one severely disabled, that the state said couldn’t care for themselves. John E. Clemmons, 66, turned himself in on the charges Friday. Bail was set at $500,000, and a hearing on the charges, along with an anticipated plea deal, is expected as early as next week. Using a cane and accompanied by one of his attorneys, Clemmons, who had been entrusted by the courts to manage the three conservatorships, walked slowly through the metal detector in the night court building a little after 1 p.m.and was taken into custody. According to court filings Clemmons was charged with three counts theft of more than $60,000, one count of aggravated perjury and Tenncare fraud. Court records and interviews show that more than $1 million in assets from the three wards is unaccounted for and much of it has been tracked back to Clemmons himself. In one case, a civil suit already has been filed seeking restitution of $450,000. In that case, records show, Clemmons submitted periodic reports to the court on the handling of the ward’s estate that contradicted the actual bank and checking account records. Checks he reported making out to health care workers and other service providers, for example, ended up in his own bank account. 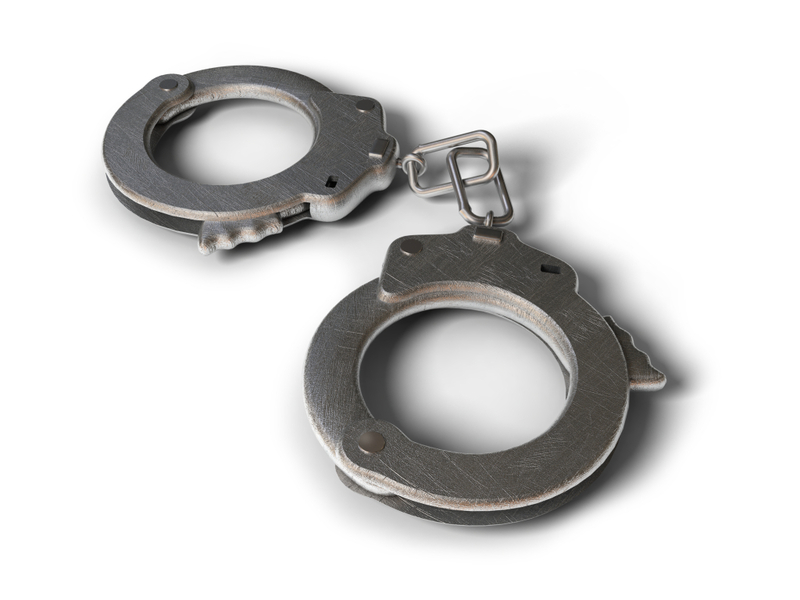 WASHINGTON—Several patient recruiters, including two medical clinic owners, have been arrested in connection with a health care fraud scheme involving defunct home health care company Flores Home Health Care Inc. (Flores Home Health). Acting Assistant Attorney General Mythili Raman of the Justice Department’s Criminal Division; U.S. Attorney Wifredo A. Ferrer of the Southern District of Florida; Special Agent in Charge Michael B. Steinbach of the FBI’s Miami Field Office; and Special Agent in Charge Christopher Dennis of the HHS Office of Inspector General (HHS-OIG) Office of Investigations Miami Office made the announcement. In an indictment returned on September 24, 2013, and unsealed this afternoon, Isabel Medina, 49, and Lerida Labrada, 59, were charged with conspiracy to commit health care fraud, which carries a maximum penalty of 10 years in prison upon conviction. Together with Mayra Flores, 49, and German Martinez, 36, Medina and Labrada also face charges for allegedly conspiring to defraud the United States and to receive health care kickbacks, as well as receipt of kickbacks in connection with a federal health care program, which carry a maximum penalty of five years in prison upon conviction. According to the indictment, the defendants worked as patient recruiters for the owners and operators of Flores Home Health, a Miami home health care agency that purported to provide home health and physical therapy services to Medicare beneficiaries. Medina and Labrada were also the owners and operators of Miami medical clinics, which allegedly provided fraudulent prescriptions to the owners and operators of Flores Home Health. Flores Home Health was allegedly operated for the purpose of billing the Medicare program for, among other services, expensive physical therapy and home health care services that were not medically necessary and/or were not provided. In a flurry of papers, instructions, medical advice and fleeting hope, several elderly patients said the West Jordan chiropractor they trusted to take care of them instead collected their financial information and defrauded them of hundreds and thousands of dollars. Their stories were all similar: Elderly patients suffering from diabetes or thyroid conditions who wanted a cure, who wanted to believe that Brandon Babcock, 38, could help. Babcock’s five-day trial began Monday. He is charged in 3rd District Court with 10 counts of exploitation of a vulnerable adult, a third-degree felony, along with communications fraud, a second-degree felony. He faces prison time if he’s found guilty of any of the charges. Babcock appeared in court wearing a white collared shirt and pink tie and sat quietly as his former patients — who ranged in age from 61 to 84 — took the stand to testify. Consistent in their testimony was the hope, confusion and fear they felt in turning to Babcock to help with their medical maladies. When they expressed interest in the program, some said, Babcock and his staff duped them into signing up for credit without their knowledge or consent. Others said Babcock refused to refund their money despite a 30-day opt-out guarantee and a promise for 100 percent satisfaction. 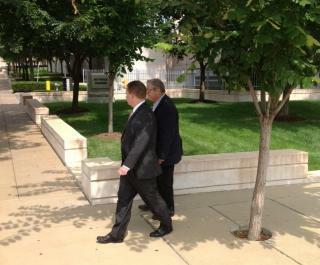 “How much did that free consultation end up costing you?” the prosecutor asked Breault. A 47-year-old West Orange woman admitted Monday to stealing nearly $100,000 from an elderly woman to pay for hotel rooms, dinners, shopping sprees and bills, authorities said. Shawn Craig pleaded guilty Monday in a Trenton federal court today to mail fraud and filing a false personal federal income tax return, according to U.S. Attorney Paul J. Fishman. Nearly three years ago, Craig bilked an elderly woman’s finances when she was given power of attorney over the East Orange woman, Fishman said. 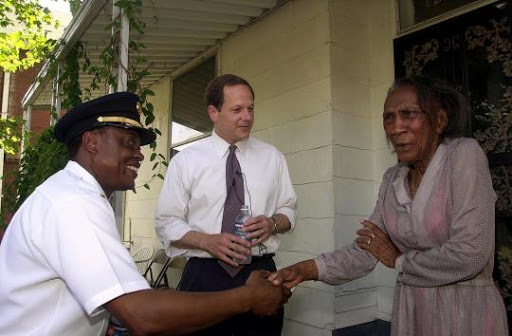 Craig used the power of attorney to divert a portion of the elderly woman’s funds —mainly socials security — to pay her automobile insurance, purchase a bar and bar stools, make a tuition payment and other expenses, according to a press release from the U.S. Attorney’s office. In December of 2010, Craig submitted a reverse mortgage forging the woman’s signature on her East Orange home, the office said. According to Fishman, Craig used the money from the reverse mortgage to purchase items at retail, such as Gucci, Coach and Nike, as well as food and travel expenses in Atlantic City, California and Florida. She also used to money to pay her bills. An elderly woman who earned just $1,800 in monthly income between her Social Security check and her pension was somehow persuaded to take out a life insurance policy worth $7.5 million. According to her son’s financial elder abuse attorney, the woman was saddled with a trust and allegedly persuaded to take out a loan valued at $1.1 million in order to satisfy premiums of $742,000. The woman’s son, who carries on with a Financial Elder Abuse lawsuit on behalf of his now-deceased mother, notes that such alleged deception of vulnerable individuals should serve as a rallying cry for advocates concerned about financial exploitation of seniors. The alleged elder abuse financial issue has its roots in 2006, when Gloria J. Emmert was 79 years of age and living modestly in a manufactured home located in North Fort Myers, Florida. The widow suffered from dementia and Alzheimer’s disease. Elder financial abuse is not just a problem in Florida, which is a haven for snowbirds and retirees. 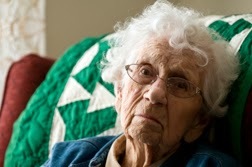 It happens right across the country, prompting inclusion, in 2010, of the Elder Care Justice Act as part of the Patient Protection and Affordable Care Act. In California, Governor Jerry Brown signed into state law Assembly Bill (AB) 381 – legislation that allows courts of law to award attorney’s fees and costs to seniors victimized by powers of attorney acting in bad faith and apart from the best interests of the senior entrusted to them. This point was driven home by a recent case in California that saw a former Alameda County Superior Court judge plead no contest to relieving a 97-year-old neighbor of her life savings while serving as her power of attorney. According to The San Francisco Chronicle (8/2/13), Paul Seeman befriended Anne Nutting and her late husband (who died in 1999), obtaining powers of attorney for the couple. Seeman, according to charges filed in California last year, gained control of Nutting’s finances and barred her from her home from 1999 – the year her husband died – through 2007. Forcing her to take a room in a hotel for those eight years, Seeman is said to have sold off her art collection. According to The Chronicle, Seeman stepped down from the bench in March and is barred from seeking judicial office in the state. He has also been disbarred from practicing law in the state of California and pled no contest to the charges. In a plea deal, Seeman will avoid jail time and is expected to face five years of probation when his sentencing takes place October 22. Anne Nutting passed away in 2010. In Florida, Michael Sterling is carrying the legal torch for his late mother. According to his elderly financial abuse lawsuit, the $7.5 million life insurance policy was based on an application using fraudulent information pertaining to Emmert’s finances. Premiums on the policy were $742,000. In order to fund the premiums, a loan amortized over 30 months was arranged at an interest rate of 17.95 percent. With interest factored in, total cost of the loan ballooned to $1.1 million which, according to the lawsuit, “far exceeded the entirety” of Emmert’s assets. A probate judge contacted the Horry County Sheriff’s Office when she learned of a possible scam, said agency spokesman Jeff Benton. A resident told Judge Deirdre Edmonds someone came to their door claiming to be with the Horry County Probate Court and asked about a recent death in the family. Benton said the intent of the suspect is not known, but Benton said suspects in events like this typically prey on vulnerable people to gain access to their home or defraud them of money. Probate court handles administration of estates of deceased persons, Edmonds said, but will not solicit families of the deceased and court representatives would never be sent to a home or property to inquire about a death. The only time a someone from the probate court would visit a home is when a guardianship or conservatorship action has been filed in the court for an incapacitated adult who is unable to manage personal or financial affairs. ST. LOUIS • Two more defendants involved in what prosecutors have called a “Ponzi-like” pre-arranged funeral scam that could cost $600 million pleaded guilty Tuesday to federal charges. The former chief financial officer of National Prearranged Services, Randall K. Sutton, 67, of Chesterfield, pleaded guilty to charges of bank fraud, mail fraud, money laundering and insurance fraud. 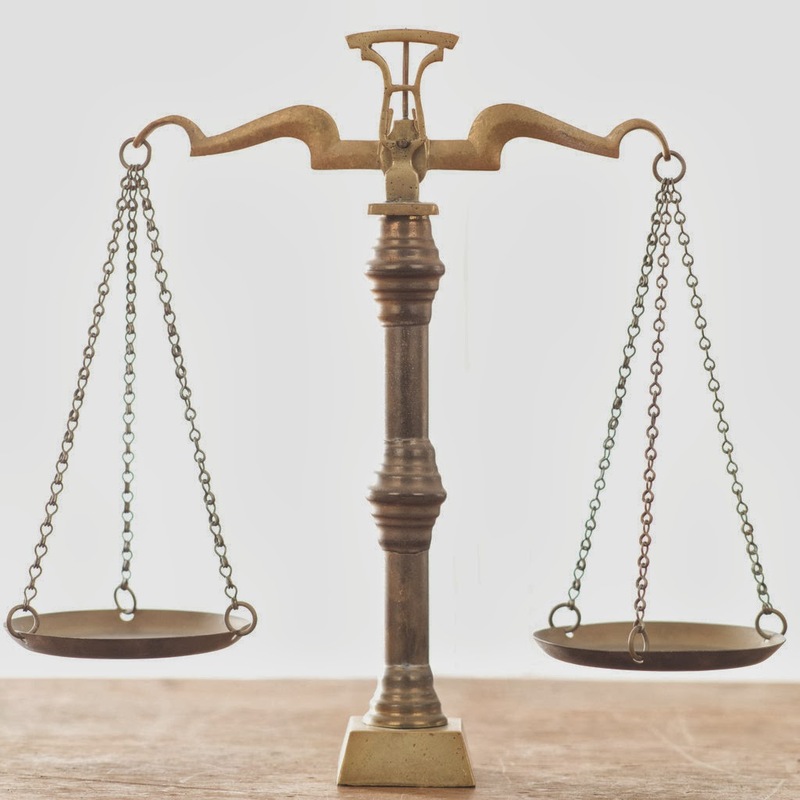 A few hours later, the company’s former lawyer, Howard A. Wittner, 76, of Chesterfield, pleaded guilty to two counts of making false statements intended to deceive insurance regulators, and to willfully permitting a felon to engage in the insurance business. Wittner admitted lying to state regulators and concealing the source of money used to ﻿buy a medical malpractice insurer. The third count refers to former owner, James “Doug” Cassity, a convicted felon. Under the plea deal with prosecutors, Sutton faces up to seven years in prison, and Wittner faces up to five years when sentenced Nov. 7. The pleas leave ﻿one remaining defendant, former investment adviser David R.
Investigators say a disabled, elderly man was evicted from his home and near death after his caretaker used more than $94,000 of his money to fund his own lavish lifestyle and left the man, who suffered from Alzheimer’s disease, alone for days. Anthony Kehle, 75, of Jupiter, was arrested Sunday by city police. 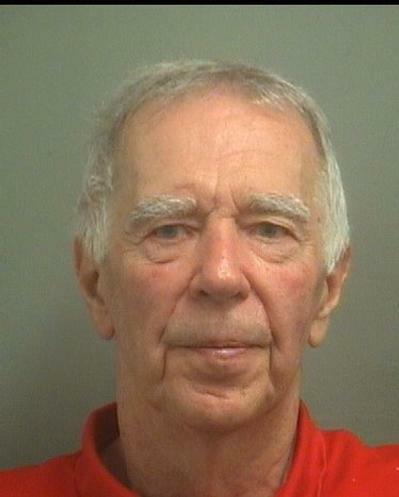 He was booked into the Palm Beach County Jail on fraud and exploitation of the elderly charges. Palm Beach County Sheriff’s Office deputies began investigating in July 2010, after a woman filed a theft and fraud complaint on behalf of her uncle, Daniel Hull. Stacey Heathcote, 44, of Shadyside, Ohio, said while visiting her uncle, she discovered piles of invoices for unpaid bills, according to Kehle’s arrest report. His phone rang constantly with bill collectors trying to get payment. Heathcote said she looked through her uncle’s bills and saw his money being used for spa treatments and expensive dinners. Further investigation showed it paid for jewelry, clothing, dinners at Morton’s steakhouse, a plane ticket to Venezuela and a membership at the International Polo Club, among other expenses. It also funded companies owned by Kehle. Hull died about a year ago. But news of Kehle’s arrest was welcomed by Heathcote, who’s being sued by Kehle for money he says her uncle owed. She said that after learning of his financial state, she moved her uncle to her Ohio home to care for him. Elder exploitation — such as telemarketing scams, fake home repairs, check scams and identity theft — costs U.S. seniors $3 billion a year, researchers say. Lead author Peter Lichtenberg, director of Wayne State University’s Institute of Gerontology, in collaboration with Illinois Institute of Technology, said the study included 4,440 participants. 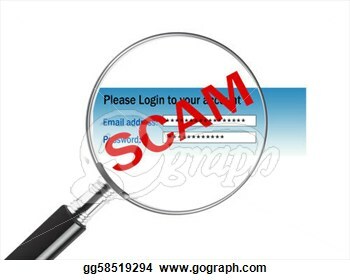 The study, published in Clinical Gerontologist, found the most psychologically vulnerable — with the highest levels of depression and lowest levels of social-needs fulfillment — experienced higher levels of fraud compared to those who were not vulnerable psychologically.